I love cookie butter but I have a hard time figuring out how to use it. I feel like it’s a little too rich for me to eat on things like toast or in a sandwich but I love the taste of it! 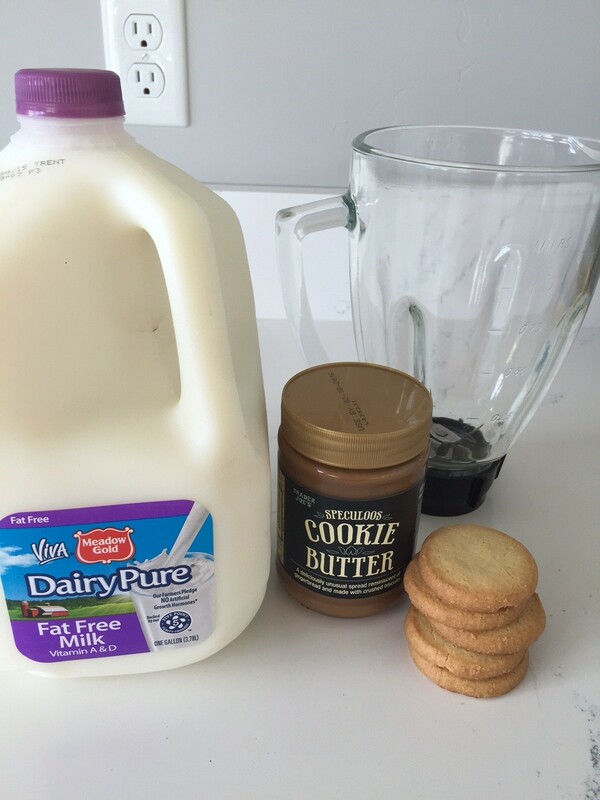 So I decided a milkshake would be a good way to use this wonderful stuff–the ultimate way to have milk and cookies! I got my favorite milk, called Meadow Gold DairyPure Milk. I love this stuff because it’s just what it says–pure. DairyPure Milk is the only milk backed by an exclusive Five-Point Purity Promise. My kids love drinking milk and so I was excited to make them a milkshake! I got the DairyPure Milk, got some vanilla ice cream, my cookie butter, and some plain butter cookies. Then I made up this recipe and got an amazing shake. This was SO good and is a great treat for a hot summer day! My kids just lapped it up like little kitties. I actually have a regular blender, nothing special…and made this milkshake super easily. And it’s always nice to know that what your kids are drinking is pure. DairyPure Milk comes in Skim, 1%, 2%, Whole, and creams. 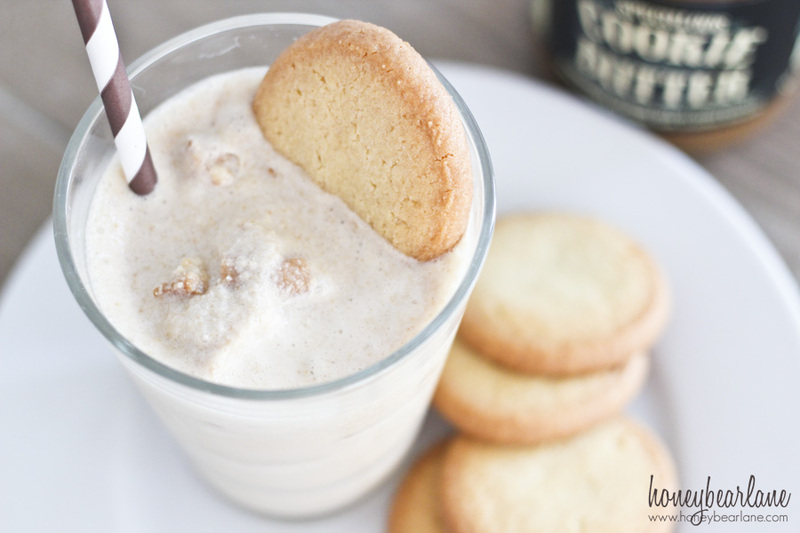 What’s your favorite way to have cookies and milk? 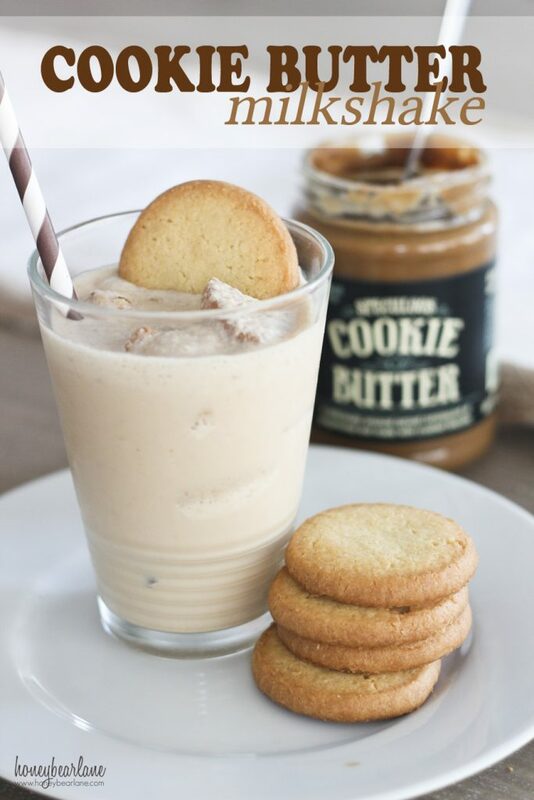 What’s your favorite cookie butter recipe? Put everything except the cookies in the blender and blend until smooth. Add ice to thicken to a consistency you like. Crumble the cookies into it. Serve.